Eight new promotional pictures have been released for this year’s Doctor Who Christmas special, The Doctor The Widow and The Wardrobe can be seen here. The episode airs on December 25 both on the BBC and BBC America. The DVD and Blu-ray will be released on January 16 in the U.K. but I have not seen a release date in the United States. 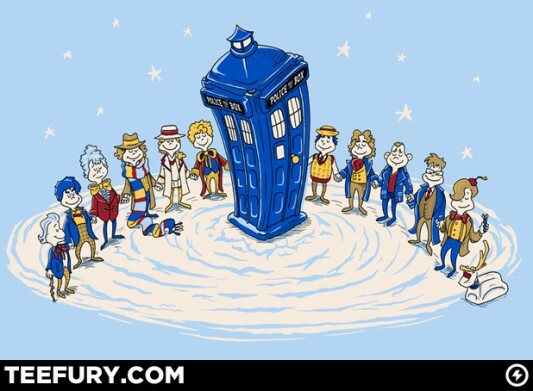 The Doctor Whoville t-shirt, featuring eleven Doctors, seems appropriate to wear while watching the Doctor Who Christmas Special, but is no longer available. Matt Smith discussed the special in the interview above. Mark Gatiss discussed science fiction on the BBC. In a statement issued to a national newspaper, Moffat said that Doctor Who is “a vitally important BBC brand with a huge international audience” and one which “not even Hollywood can start from scratch”. 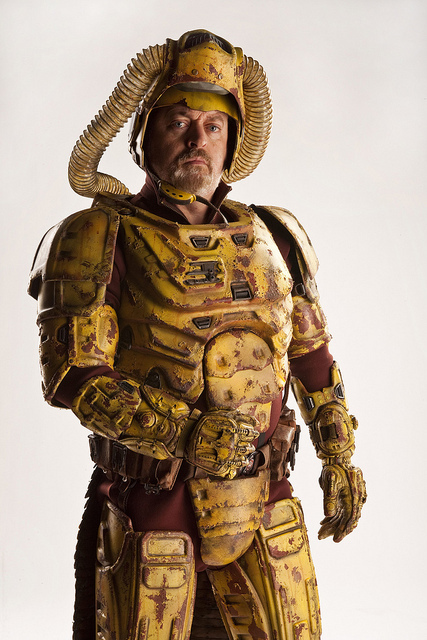 The producer also revealed that as yet “there simply are no developed plans for a Doctor Who movie at the moment” but “if and when the movie happens it will need to star television’s Doctor Who – and there’s only ever one of those at a time. David Yates, in the brief interview above, said that he can’t say much, “because its such a long way away,”, but that they are looking for a writer first. Last week there were rumors on line that a Christmas episode of Doctor Who Confidential was filmed but will not be aired due to the cancellation of Confidential. The BBC says that only ten minutes were actually filmed, and it will wind up on line at some point. The TARDIS provides a device to place Doctor Who stories in any place or time, but time travel is not an actual part of most episodes. IO9 has made a listing of classic episodes which did involve time travel. 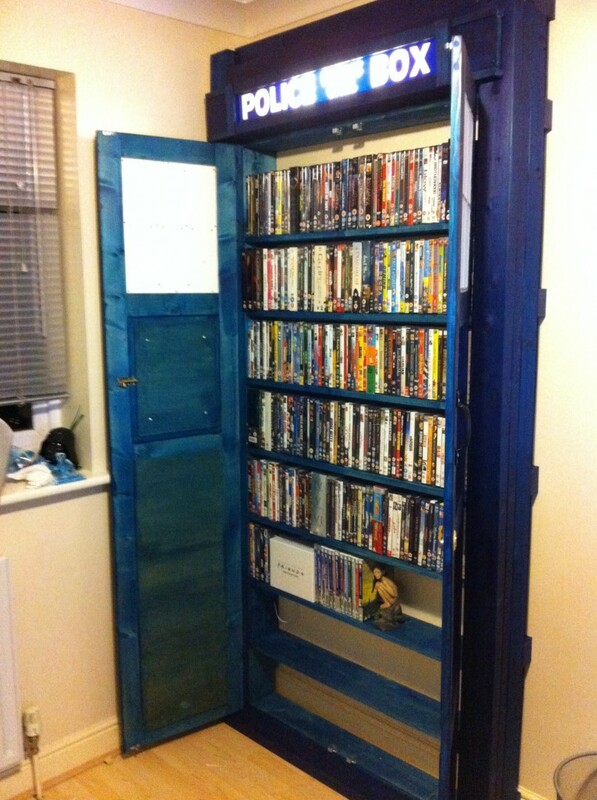 This looks like a great way to store media, especially as it is bigger on the inside than on the outside.